This chapter was formed in January of 2007 with just five members. We were granted our charter on February 6, 2007. Our chapter has experienced very rapid growth. People contact us almost every day interested in joining us seeking camaraderie and great satisfaction in helping us to fulfill our mission. We hold monthly meetings at the Joseph E. Zaloga American Legion Post 1520 in Colonie. In addition to business meetings, we make time to chat and exchange news of our military children. We offer an opportunity to provide emotional support to each other in a way that a non-military Mom might find hard to understand. We draw on each others' strengths and knowledge. Many of our members have sons and daughters that are serving or have served in support of Operation Iraqi Freedom or Operation Enduring Freedom in Afghanistan. 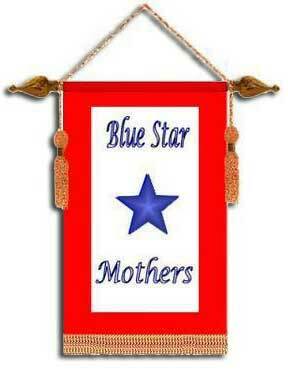 We also have a growing membership of moms of veterans enabling us to focus on veterans needs as well. Among our numbers, we count 11 two-star moms!! Our projects include sending Freedom Boxes to our deployed troops. We welcome home troops at the Albany International Airport and are also involved in projects for Wounded Warriors and participate in veterans' activities.